Synchronous optical networking (SONET) and synchronous digital hierarchy (SDH) are standardized protocols that allow for the simultaneous transport of many different circuits within a single framing protocol. For many years, both SONET and SDH have been established technologies for building transport networks that are highly scalable, highly available and simple to operate. By deploying SONET or SDH network synchronization, operators ensure their networks run smoothly and wholesale and business customers experience a high quality of service. Oscilloquartz offers a complete product range that can be leveraged for SONET/SDH networks – from primary reference clocks to network management systems, including timing synchronization generators, GNSS clocks (GPS/GLONASS) and synchronization distribution units. Our end-to-end timing distribution and assurance solutions are also awarded with NEBS level 3. 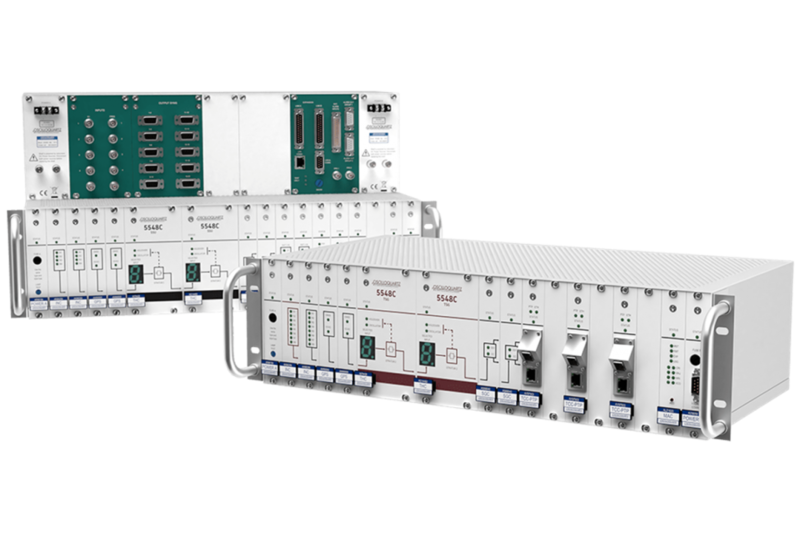 Our portfolio of synchronization clocks not only delivers accurate and affordable synchronization but also boasts unrivalled scalability, providing you with a smooth evolution across multiple generations of timing technologies. Our OSA 5548C synchronization supply unit is a scalable synchronization solution ranging from 20 unprotected outputs up to 1,000 protected outputs by adding up to four expansion shelves to the core unit. Its ultra-compact footprint makes it ideal for telecom operators to provide scalable network synchronization in over-crowded exchanges. The distributed intelligence message passing system of our OSA 5548C SSU eliminates single points of failure and guarantees reliable uptime. Core unit and expansion shelves share the same modules, minimizing overall administrative complexity and enabling reduced homologation activity.